A tragic outcome for a 6-month old baby girl and her father on Tuesday, March 12. The baby girl was killed and her father were seriously injured in a likely gang-related shooting, according to report by The Examiner site. Jonathan Watkins, 29-year-old, father of the 6-month old baby, was the real target of the gunman. Watkins was shot no less than five times while he is changing the diaper off her baby. 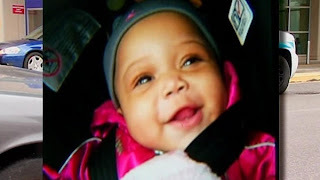 Jonylah Watkins died after suffering bullet wounds in her lung, liver, leg, shoulder and bowel or intestine. The baby died at the Comer Children's Hospital in Chicago. According to witnesses that the unknown suspects made his way to Jonathan Watkins while changing his daughter Jonylah’s diaper in the front seat. Police Superintendent Garry McCarthy said, "It appears he's the intended victim, exclusively the father." Spokesman of the family, Rev. Corey Brooks said, " the New Beginnings Church in Woodlawn was offering a $5,000 reward leading to the gunman." He added, "We're going to help find who did this," "We're going to take back our neighborhood, we're going to find who did this." Comments or suggestions about "6-month-old baby Shot, Dies in Chicago" is important to us, you may share it by using the comment box below.